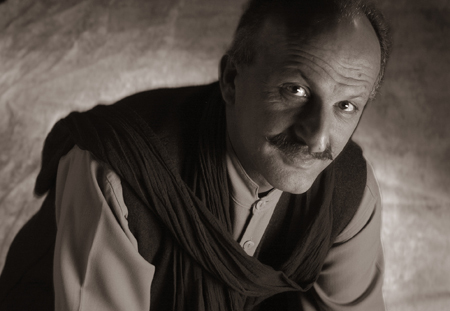 A philanthropist, idealist, humanist, Reza’s career began with studies in architecture. He has gone on to become a renowned photojournalist who has worked all over the world, notably for National Geographic. His work is featured in the international media (National Geographic, Time Magazine, Stern, Newsweek, El País, Paris Match, Geo…), as well as a series of books, exhibitions and documentaries made for the National Geographic Channel. After his work, Mémoires d’Exil (“Memories of Exile”) shown at the Louvre Carrousel in 1998, he has shared his humanitarian vision through a series of monumental installations: Crossing Destinies, , One World, One Tribe, War + Peace, Windows of the Soul, Soul of Coffee, Land of, Azerbaijan: the Elegance of Fire and A Dream of Humanity. Author of thirty books, and a recipient of many awards over the course of his career, Reza is a Fellow (2006-2012) and Explorer of the National Geographic Society since 2013, and a Senior Fellow of the Ashoka Foundation. Reza’s work has been recognized by World Press Photo; the Infinity Award, the Lucy Award, an honorary medal from the University of Missouri and the honorary degree of Doctor Honoris Causa from the American University of Paris. France has also appointed him a Chevalier of the National Order of Merit.